Water treatment plant for Windsor? The town has always purchased its water from suppliers. Currently, it has three providers: Fort Collins-Loveland Water District, North Weld County Water District and the city of Greeley. But by purchasing its treated water and not having access to a water treatment facility of its own, Windsor loses something: control. Moyer said the town has always kicked around the idea of having its own water treatment facility. Twenty-five years ago, when the town’s population was roughly 5,062, Windsor residents used a total of 335 million gallons annually, according to Windsor Director of Engineering Dennis Wagner. Windsor is currently one of 15 participants in Northern Water’s Northern Integrated Supply Project (NISP). 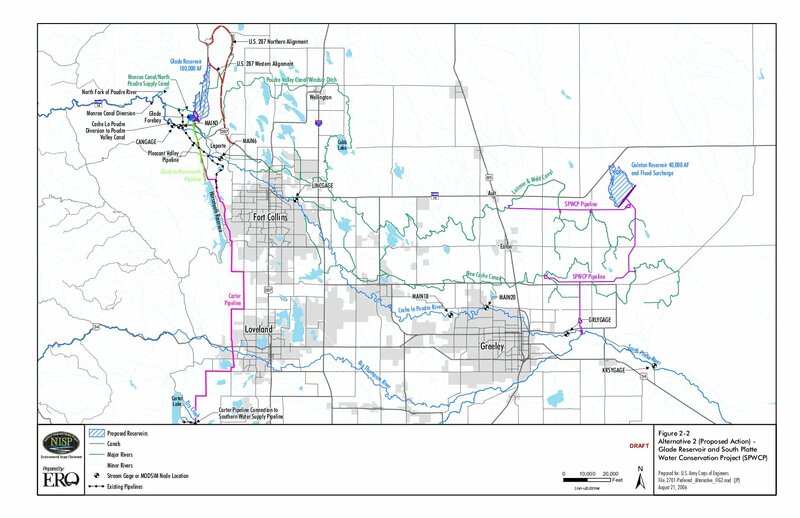 The regional water supply project aims to provide its participants with 40,000 acre-feet of new water supply each year through the Glade Reservoir and Poudre Valley Canal. The town also has been involved in conversations with a handful of other Northern Colorado communities about the possibility of sharing a regional water treatment facility. Arnold said eight municipalities, including Windsor, Severance, Loveland, Eaton and Milliken, and water districts like Fort Collins-Loveland, Central Weld and Little Thompson are involved. A feasibility study for the possible treatment facility has been conducted, Arnold added, and it would cost Windsor anywhere from $11 million to $17 million to buy in at a certain capacity level. The next step for the possible project is the formation of an authority that would be responsible for building the regional plant, Arnold said, adding that the communities involved just initiated that discussion about a month ago. More water treatment coverage here. A major project that could put Windsor one step closer to water security is inching forward as town leaders explore funding options for the $6.7 million Kyger Gravel Pit redevelopment. The Windsor Town Board last week heard several staff presentations about the early renderings of the 2014 budget, which will be discussed in-depth later this year. The biggest item up for discussion was the Kyger project, which would transform a barren mining area on the outskirts of town near Weld County Road 13 into a 1,100-acre-foot reservoir that would revolutionize how Windsor handles its augmentation water supply. 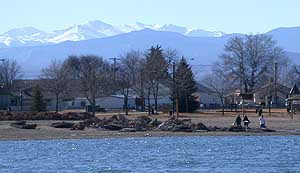 » $4.5 million, 20-year loan from the Colorado Water Conservation Board. The draw of borrowing the money is the low-interest rate and flexible repayment options, including early payoff, Moyer said. That would amount to roughly $250,000-$300,000 each year. The estimated cost of the project is about $6.3 million, but staff wants to ask for more to provide a contingency of about 12 percent, just in case. Each year, the town must resupply nearby rivers and ditches after drawing water from them throughout the year to irrigate area parks and open spaces. That resupply of water has to be stored somewhere in the meantime, and this has typically been Windsor Lake at Boardwalk Park. Earlier this year, those water levels were drastically low and almost jeopardized the summer recreation season, Town Manager Kelly Arnold said previously. Though the development would be a non-potable supply, it could pave the way toward even bigger development plans for the area, including a potential for a drinking water treatment facility on an adjacent lot, the board said at a past meeting. The town will submit a feasibility study to the CWCB this month and plans on officially purchasing the Kyger Reservoir infrastructure in December, Moyer said. Design work is slated to wrap up in June and construction could be done by January 2015. The reservoir could eventually be used for recreation purposes, but those conversations won’t be happening for about three years, Arnold said Monday. Great Western Oil and Gas Co. is proposing to drill 19 new natural gas wells within the town of Windsor near the shore of the Poudre River. The wells will be drilled from two separate sites southwest of downtown near the Larimer-Weld county line, allowing the company to drill beneath residential neighborhoods remotely. 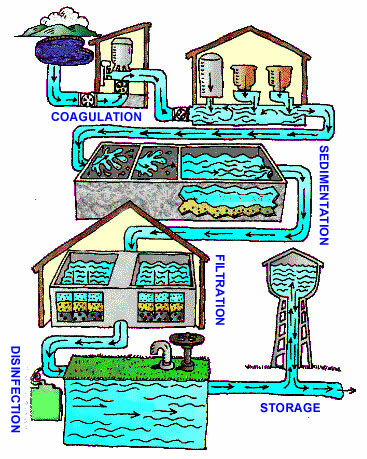 After the well is drilled, after the target formation is fractured and as the oil and gas begins flowing up the well, wastewater comes along with it. As Colorado Springs and El Paso County wrestle with the sudden interest in drilling in the area, what to do with that wastewater is a big concern. As much as half of the fluid used to fracture the rock gradually returns to the surface as flowback water, emerging from the well along with the oil and gas over a period of weeks. Many rock formations, including the Niobrara, also contain water, often briny and laden with minerals, that comes out of the well as what is called produced water, over several years. “Produced water can be nasty, nasty stuff; other places you can drink it,” said Thom Kerr, acting director of the Colorado Oil and Gas Conservation Commission (COGCC), which oversees oil and gas drilling in the state. Getting rid of flowback and produced water is a challenge for drilling companies, since it’s generally too toxic to simply be poured out on the ground — although the state allows drillers to spread produced water on roads if it meets a purity standard. Some of the flowback fluid can be put through filters and reused at the next well. Ultra Resources, a Houston, Texas-based oil company, is drilling three exploratory wells in El Paso County and has applied for permits to drill three more, two of those on Banning Lewis Ranch in Colorado Springs. The company isn’t recycling the water for those initial wells, officials say, but company officials say it will if it moves on to large-scale drilling. Environmentalists, including Save the Poudre, are taking umbrage at the idea of selling the water to the energy industry because they’re unhappy that PRPA water from the Colorado River could be used for hydraulic fracturing, a water-intensive process they believe is harmful to human health and the environment. 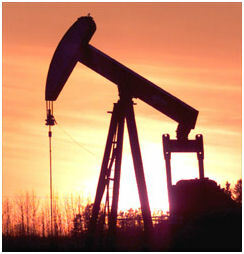 According to Wilson, oil companies often have the absolute right to drill, especially in connection with split estates, when the minerals are owned by the oil company and land by a surface owner. In that case, he said, oil companies can drill regardless of zoning or homeowner’s association laws. On the front range, Wilson said, companies are drilling within 300 feet of schools; in rural areas, the state limit is 150 feet within any property by right. According to Wilson, the owner fares better when the mineral rights are part of the property, but he or she but can still have those rights taken by what is known as a “forced pool.” A forced pool says that part of the objector’s product is being extracted, so the rights must be pooled in order to determine each person’s share of revenues. The only way to avoid any of this,Wilson emphasized, is to effect local county commissioner control now via home rule. By enacting home rule, Wilson said the commissioners can protect the land for its water users, citizens who like to breathe clean air, and everyone who enjoys a peaceful Valley. It’s not cheap. And, it won’t be getting cheaper any time soon, water consultants say. > Increase the town’s rates by 5 percent every year for five years beginning in 2011, while also increasing the fee charged to developers to add new taps to the water supply system or . 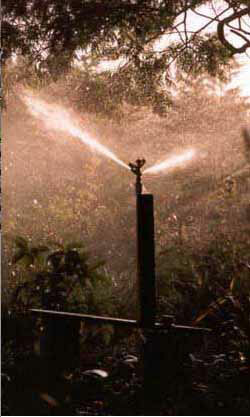 . .
> Increase the water rates by about 5.2 percent every year or . . .
> Increase the town’s rates by 5 percent and add a water resource fee to developers’ costs. 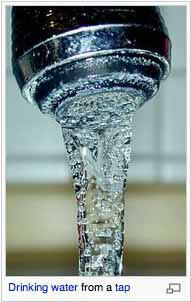 The town board, after hearing the options, took a look at its tiered water rate system. Windsor currently uses a two-tiered residential system, with a fee of $3.20 for every 1,000 gallons of water used up to 17,000 gallons. When that threshold is reached, the rate jumps to $4.80 per 1,000 gallons. The board also began discussion about its tiered water rate system. Currently, Windsor has a two-tiered residential system, with a fee of about $3.20 for every 1,000 gallons of water used up until about 17,000 gallons, when the rate jumps to about $4.80 per 1,000 gallons. “A three or four-tiered system is pretty popular among conservation-minded communities, with steep price increases going up each tier,” Jones said. More Windsor coverage here and here. Windsor Public Works Director Terry Walker presented details about that plan and the steps needed this year to the town board during last Monday night’s work session. “We’ve completed the meter replacement program, and now we’re working on the leak detection program,” Walker said. The water conservation plan was implemented in 2008 and designed in conjunction with Clear Water Solutions. 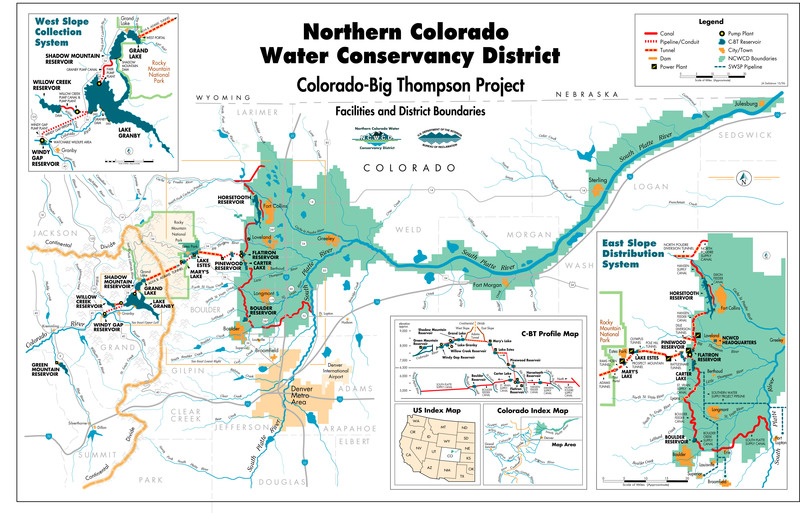 The plan will allow the town to apply for low-interest loans from the Colorado Water Conservation Board and the Colorado Water Resources and Power Development Authority for projects like the Northern Integrated Supply Project. Windsor’s share of the NISP costs will end up being about $33 million or $34 million. Up until now, the town has paid its share from its cash reserves each year. However, the cost to help build NISP will escalate, with the biggest single year payment toward the project for Windsor being 2012, at $5.4 million. The water conservation plan calls for a total reduction of 12 percent water consumption, or about 268 acre-feet over a three-year period. Broken down, the goal is to reduce consumption during that time period by 8 percent for residences, 15 percent for businesses, 6 percent for industrial users, 11 percent for public use, 16 percent in landscaping use and 3.5 percent in unaccounted loss. Much of the cost estimate change is based on participants’ decision to add capacity for pump plants and pipelines and increased storage at Galeton Reservoir, according to Northern officials. The changes would increase project efficiency and, with that, its sustainability. The updated Glade Reservoir cost estimate remains within the current construction cost index and inflation. Costs have also increased because of participants’ strong commitment to answering questions raised during the public comment period about water quality, hydrology and riparian corridor issues, said Kathy Peterson, who chairs the participant group. More Northern Integrated Supply Project coverage here and here. The town had commissioned a potable water master plan at the beginning of the year, and [Clear Water Solutions] was chosen to create that document, which is intended to act as a guide in future water acquisition decisions. “The upshot is that build out, with all the water dedication planned on being taken into account, you’ll have a gap of about 8,731 acre-feet of water,” [Steve Nguyen, President of Clear Water Solutions] said.